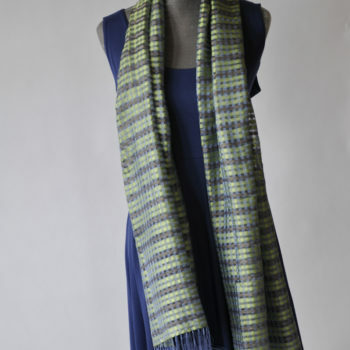 This is a wider version of the pretty basketweave scarf from Vila Cini. 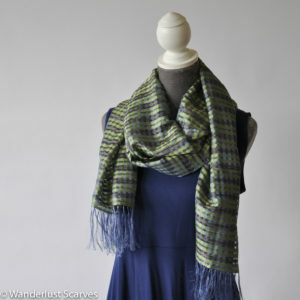 This pretty scarf is airy and light, with a basketweave pattern that gives the scarf a plaid look. A very fine fringe finishes the ends of the scarf. Vila Cini is a beautiful high end shop in Chiang Mai, Thailand. 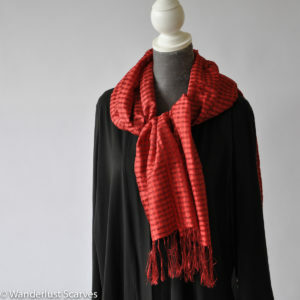 When I discovered Vila Cini I was so excited to choose a few beautiful and very different scarves to bring home for you! 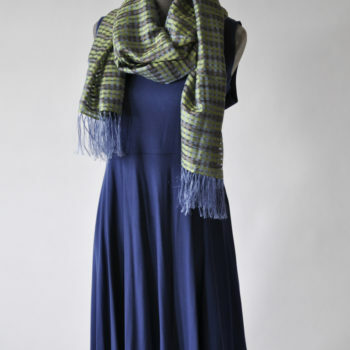 The scarves produced for this luxurious shop are truly unique in how they are woven. 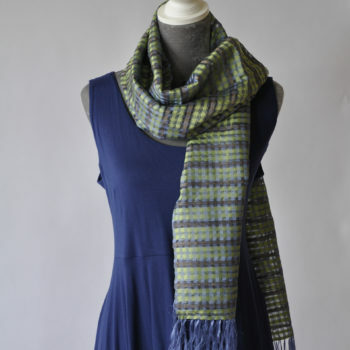 Strands of silk are woven, basketweave style into gorgeous patterns.